Intermedia Group Inc.’s cloud-based phone system offers cutting edge voice communication solutions to businesses of all sizes throughout the country. 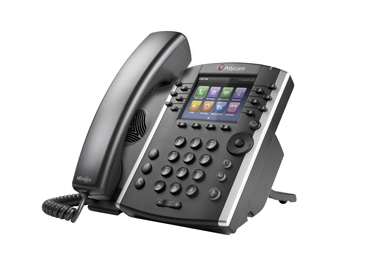 Assisting businesses with affordable, reliable, and advanced phone systems we offer you more ways to stay in touch with sleek, professional IP phones, a softphone for calling over your computer, and a mobile app for making and taking business calls from your iPhone or Android. And your voicemails are delivered right to your email. You’ll never miss a call again. Our Hosted PBX Service is an excellent solution for multi-site enterprise businesses that need interoffice communication and connectivity or have remote employees who need to function as if on site. Your teammates are only an extension away. Through our data center, your phone, Internet access, and private VPN/MPLS connections are always protected, providing business continuity and resiliency. Intermedia helps your company utilize the many features of your new system by implementing call accounting, mobile workers, professional auto attendant recordings, smart paging, music/selling on hold, cell phone connect, and adding wireless headsets just to name a few. Allow us to review your current telecom/data monthly expenditures to help find less-expensive alternatives as well as removing fraudulent and needless charges. Save money by paying a flat monthly fee that’s easy on your bottom line.